Live streaming gives you the ability to share your experience as it’s happening. For business, it’s an opportunity to add a personal touch to digital interactions. It can be challenging to jump into the world of livestreaming, but luckily, there are plenty of apps and services that are making it easy. Everyone is familiar with Facebook, and Facebook Live is just another way to keep your people updated – and in real time. All you need to do is hit Go Live on your Facebook app. No additional downloads necessary! You can target your livestream to specific audiences or make them publicly available. During your livestream, your audience can send comments, allowing for quick and direct communication. This personal touch is a massive boost for business. Notifies followers when you are Live. You can pick your audience. Only reaches Facebook users, though you can download the video and share elsewhere once your livestream ends. The Bambuser app is dedicated to giving you the best experiences with livestreaming, and offers a large variety of options. This app focuses primarily on livestreaming, but also allows for adding pre-recorded videos or photos from another one of the company’s apps. You can then decide when you want to publish your works. The app is highly organized to help you keep all your content where you need it, and everything is easily found by using hashtags. Intuitive and easy to use, Bambuser is perfect for business who want a powerful live streaming tool for businesses. The advanced technology can be confusing. There’s definitely a learning curve! Cost: For limited access and no membership, free. For more access, payment options start at $45 a month. Google Hangouts on Air is now Youtube Live. Youtube Live itself is an easy way to video chat one or multiple people at one time. With Youtube Live, you can not only video chat up to ten people simultaneously, but it can be opened up to be used on YouTube to allow a wider audience to watch your video. This additional function is offered to those with Google, and it is a great way for people to have public group meetings at a distance. It makes a perfect match with businesses who want to create virtual conferences, and since it’s backed by the power of Google it’s reliable. There are other small features such as being able to manage who is allowed to view the livestream, and being able to participate in group chats. 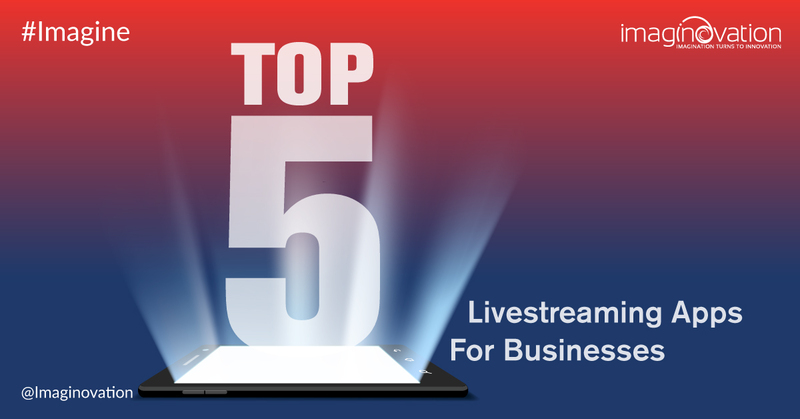 Youtube Live is fundamentally different from the other livestream app tools you’ll find here because it allows businesses to work in conjunction with each other in a much more interactive setting. Allows for multiple people to participate on the livestream. You can choose who can view your live stream. All users must have a Google account. Can be confusing to navigate at first. Open Broadcaster Software tends to appeal more to the online gaming community than anyone else. Unlike most of the other apps, this one is not available on a mobile phone. It is, however, available for anyone with Windows 7, 8, and 10, and Mac OSX 10.8 and higher. With OBS, you can do live stream and videos, including streaming video games as you play them. 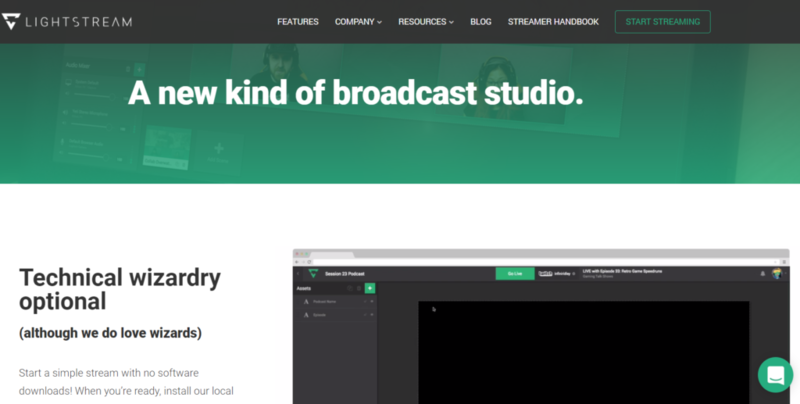 OBS is a bit more complex than some of the other livestreaming apps out there, but it is readily available for anyone that needs to do broadcasting, webcasting, livestreaming, etc. No membership or fee is required. OBS even offers custom video settings, video filters, audio filters and more to give you a more personalized experience. Easily uploadable to other websites (ex. Youtube). Not suitable for mobile streaming. Not suitable for those with no experience with livestreaming. What used to be called Infiniscene is now called Lightstream to better communicate the mission and functionality of the app. The biggest appeal of this livestreaming app is that it’s easy to use. The controls are simple and intuitive. Though it’s technically better suited for use on a computer, the mobile app offers enough functionality to make it work. You can’t choose your audience, but it’s possible for you to reach your audience on their mobile devices as well as on their desktops. Not ideal for livestreaming with family and friends. Still has a lot of tech issues. When we tried it, connecting and disconnecting took a long time and we weren’t sure if we were “on air” or not. The Switcher Studio app is used by all kinds of people thanks to its ease of use and accessibility. It’s easy enough for beginners to figure out, but also offers more advanced option for more advanced livestreamers. Some special features that this app offers are multiple camera angles, added photos and logos, screen casting from your computer, and much more. All of those options make it perfect for businesses to use, allowing you to customize and be professional from the get go. Easy to navigate, with more advanced options. Easily uploadable onto other websites (ex. Youtube). Less popular than other streaming apps. 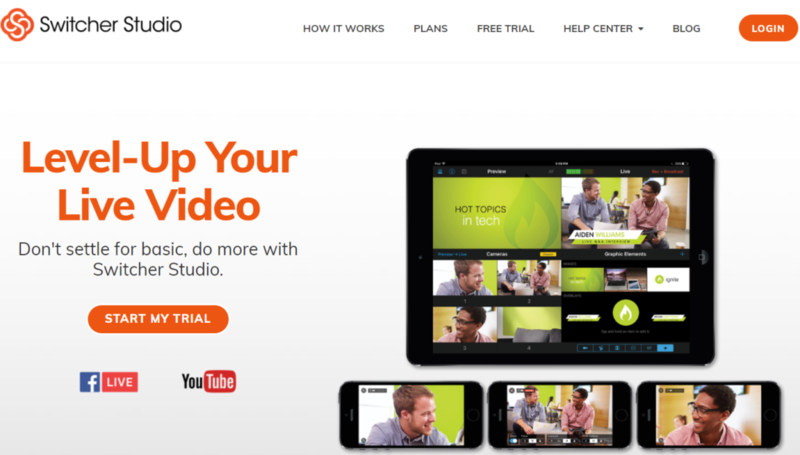 Trial and error is your best bet for choosing a livestream app. Try out several before you settle on one, because the experiences and reach can be vastly different depending on the app’s functionality. This is a perfect place to do some brainstorming within your business. Facebook Live works best for us, but we plan to revisit these tools as we gain more live streaming experience. The key to success with any livestreaming app is to do it often. Have fun with it! Users want engagement, whether you’re working business to business or reaching end users. See how the Imaginovation team uses live streaming to add a personal touch to our company. Like us on Facebook and stay tuned for our next ImaginLive broadcast!